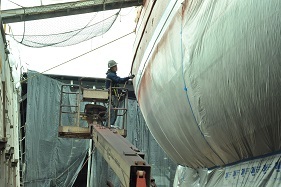 Marine/Industrial/Certified Application Specialist Painter Journey Testing and Certifications are currently accomplished through the SSPC C7 Abrasive Blasting & C12 Airless Spraying or Certified Application Specialist (CAS) testing programs. Competence in Swing Stage Handling and Chain Transfers is also required. FTINW conducts C7, C12, and CAS testing roughly twice a year. 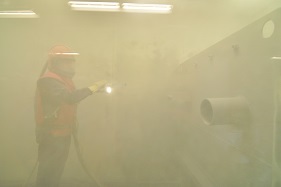 SSPC C14 Plural Component, C3 Lead Abatement Supervisor, and C5 Lead Abatement Supervisor Refresher classes and tests are also conducted periodically and depending on need. Please contact FTINW for more information. Click on the following links for prequalification forms for C7, C12, or CAS. Please call us for details on how to complete these forms. Forms must be fully complete as they are reviewed under the International FTI's and SSPC's ISO 17024 quality standards.